They say your inner child is your true self. You know, the self that is really you without all the grime and muck of adulthood? The fun one, the one that’s not afraid of playing and exploring and doing and getting dirty. The self that splashes in puddles. There’s something really exhilarating about releasing your inner child. Your imagination comes alive, the world looks and smells different, and you just feel better. So let’s find that inner child, shall we? 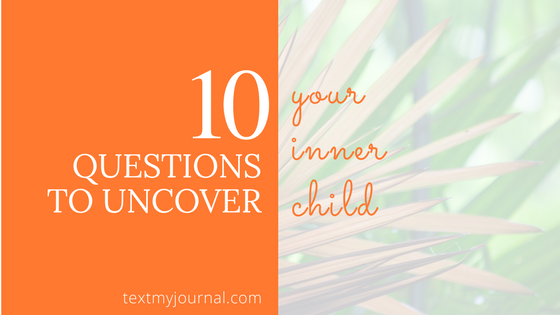 We’ve created 10 prompts to reacquaint you with your free, uninhibited inner child. This post is one in a series called “10 Questions.” Check back each week for another 10 question exercise to discover you, your goals, your gifts, and to help find a direction in various aspects of your life. These are not to be used in place of therapy and are in no way medical advice. 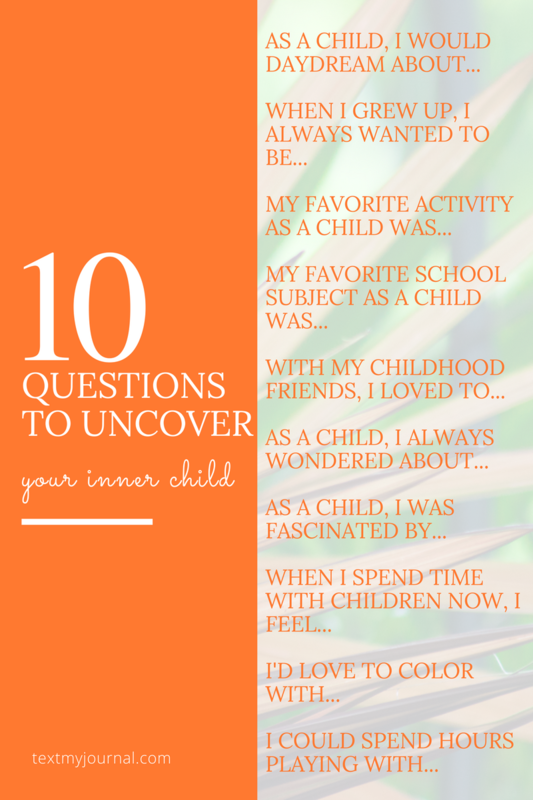 Use this 10 question exercise to help discover your inner child! 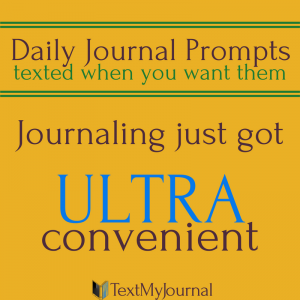 Get prompts like this texted to you daily. Then just hit reply – journaling really is that easy! Read more “10 Questions” now!